Kotak 811 saving account is complete digital saving account which you can open online and manage online too. 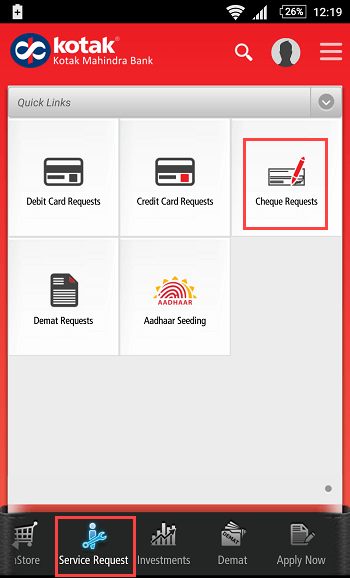 You can manage this account through Kotak mobile banking application on smartphone. 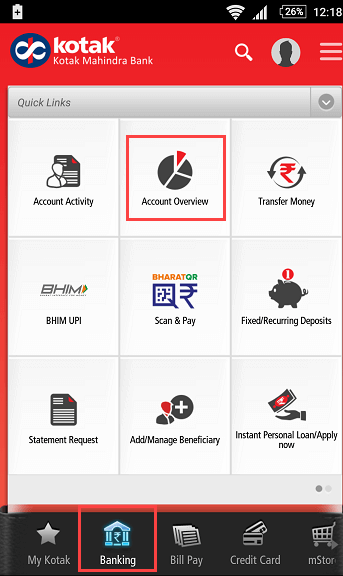 Kotak 811 saving Account is a zero Balance savings account for those who want to open their savings account in Kotak Bank and are unable to maintain monthly average balance. This is best saving account with all facility like Debit card, cheque book, net banking, mobile banking facilities. 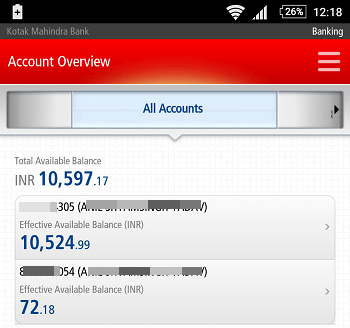 Here we will show you how to manage Kotak 811 saving account online through mobile banking application. As I said it is a completely digital account and you do not have to visit bank for any work. You just need to complete KYC process by submitting your documents. You can call bank person and done this job at home. 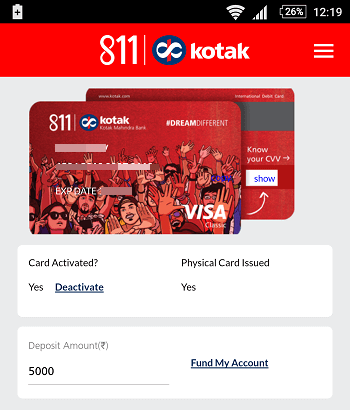 To manage Kotak 811 saving account, you have to install Kotak Mobile Banking Application in your Smartphone, this application is available on Android, iOS. Now you can see your available balance. You can also add money using net banking, debit card. Now enter amount and tap on Fund my Account. 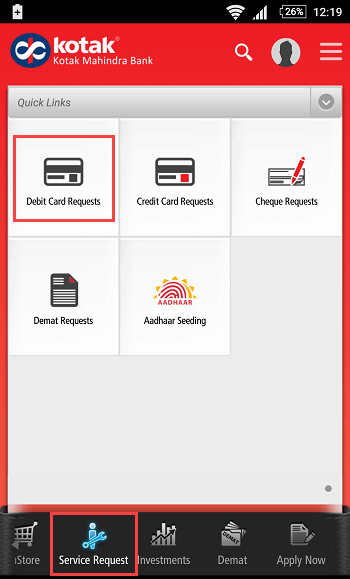 You can use net banking, debit card options to add money. You can order cheque book online for 811 account. To become eligible you need to complete KYC process. 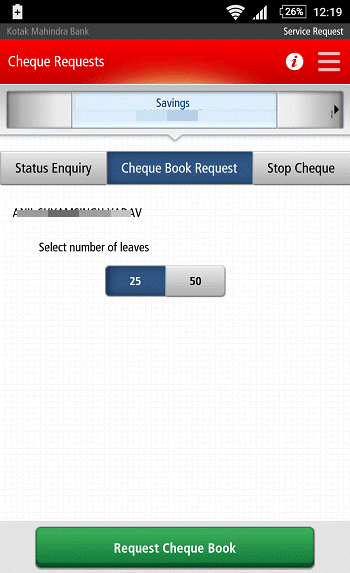 Now select total leaves and submit your request. For security you can tun off your 811 debit card and whenever you need to use it, turn it on anytime. 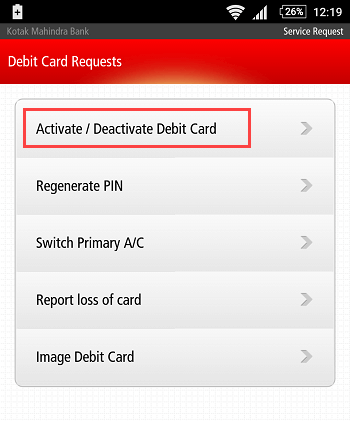 Now tap on Activate/Deactivate Debit card and block it temporary. When you open 811 account, you will get virtual Debit card. You can use this card for online payment. This is not physical debit card but you can order physical card too at Rs.199/annum fee. You can view your 811 virtual debit card in mobile banking. Tap on Banking — 811 Account. Next screen you can see your virtual card. 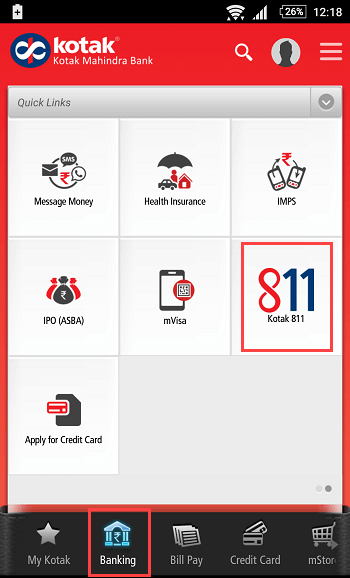 As I said, you can also order your Kotak 811 Virtual Debit Card as a Physical Card at Rs.199 annual charge. To order, open mobile banking and tap on Banking — 811 Account. Next screen tap on Apply physical card. After submitting request you will receive your card within 15 days.